Please find below a roundup of frequently asked questions for the SAP BusinessObjects and Digital Boardroom solutions. This is a collation of a number of sources from SAP as well as AgilityWorks’ view on the positioning of the product. What is SAP BusinessObjects Cloud? BusinessObjects Cloud is a software as a service (SaaS) in the cloud that provides all analytics capabilities for all users in one product such as data visualisation & exploration, planning and predictive. SAP BusinessObjects Cloud is the new name for the solution, previously called SAP Cloud for Analytics (project name Orca). BusinessObjects Cloud is also an evolution of SAP Cloud for Planning. SAP BusinessObjects Cloud is single experience for decision making where everyone can discover, visualise, plan and predict, all in one unified, purpose-built for the cloud product versus having to use separate point solutions. Whether in front of the customer or in the boardroom, SAP BusinessObjects Cloud provides an entirely new experience for business users that allows instant insight to action on data from all sources. Governance, Risk and Compliance (GRC) is also planned for the future. The SAP Digital Boardroom is a next-generation digital solution that uses line-of-business data from various systems, including S/4HANA to provide a single source of truth about a company’s most important business metrics, so business leaders can monitor, simulate, and drive change in the digital economy. The Digital Boardroom can be run on 3 multi touch screens for maximum interactivity. It can also be run on a single standard monitor also. The SAP Digital Boardroom is built on the SAP BusinessObjects Cloud platform. It allows you to wrap your BusinessObjects Cloud stories (dashboards/visualisations) together into a meeting agenda. What technology is BusinessObjects Cloud built on? It is built natively on SAP HANA Cloud Platform (HCP). The users are exposed to the BusinessObjects Cloud application sitting on top of HCP. The database that runs underneath BusinessObjects Cloud is of course HANA, but again you don’t interact directly with the database layer, all interactivity is with the BusinessObjects Cloud application. Do I need S/4 HANA or HANA to run BusinessObjects Cloud? You don’t need either S/4 HANA or HANA to run BusinessObjects Cloud (or indeed any other SAP technology). Of course, if you have S/4 HANA or HANA you are likely to want to use BusinessObjects Cloud to deliver real-time analytical capabilities on top of these systems which is absolutely possible. Does BusinessObjects Cloud replace the on-premise BusinessObjects BI Suite? No, absolute not. The BusinessObjects BI Suite (also now known as SAP BusinessObjects Enterprise) continues to be the analytics platform of choice for on-premise deployments. SAP is continuing its investment in the BI Suite, including its convergence and simplification of the tools in the suite. BusinessObjects Enterprise and BusinessObjects Cloud can co-exist as the analytics platforms of choice for customer. BusinessObjects Cloud also allows you to leverage the Enterprise Universe connections as a data source. So what could a co-deployment of BusinessObjects enterprise and BusinessObjects Cloud look like? BusinessObjects Enterprise (BI Suite) will continue to be the go-to platform for on-premise analytics across the corporation, delivering enterprise wide information requirements through a suite of best in class BI tools (Webi Intelligence, Design Studio, Lumira, Crystal). The BI Suite will continue to deliver enterprise scalable reporting scenarios. BusinessObjects Cloud will deliver a line of business analytics platform in the cloud allowing business users to deliver their own analytics in an agile fashion. This includes the ability to use a single application to deliver all analytics capabilities such as visualisation, planning and predictive. More information on the positioning of the solution can be found here. Does BusinessObjects Cloud effect SAP Lumira as a self-service BI tool? Same as question 5, absolutely not. SAP Lumira continues to be the strategic tool for dashboards and self-service analytics on the desktop as part of the BI Suite. SAP have recently announced the future convergence of the Lumira and Design Studio tools from the BI Suite (marked as Lumira 2.0). The product road map for SAP Lumira also includes planned support for the publishing of data sets long with metadata to SAP BusinessObjects Cloud. One point of note, the platform formerly known as SAP Lumira for Cloud is replaced by the BusinessObjects Cloud. SAP Lumira Cloud was a cloud service for hosting and sharing of Lumira dashboards authored on the desktop version of the tool. SAP Lumira documents can also be shared on the BI Platform as like the other tools in the BI Suite. How does BusinessObjects Cloud effect SAP Business Planning and Consolidation (BPC)? SAP Cloud for Analytics can complement existing deployments of SAP Business Planning and Consolidation in a hybrid deployment. It’s possible to bring BPC data into and out of BusinessObjects Cloud. BusinessObjects Cloud can be used a line of business solution to build planning model and processes outside of the enterprise BPC system. What make SAP BusinessObjects Cloud different from other cloud based analytics solutions? How is BusinessObjects Cloud licensed? SAP BusinessObjects Cloud is licensed through an annual subscription fee on a per user basis. Is SAP BusinessObjects Cloud a public cloud? Yes, SAP BusinessObjects Cloud is a multi-tenant public cloud solution. There is the option to deploy it in a private cloud within the SAP data centres. What data connections are available? Future new data connectors are planned such as for SAP Concur, SAP Hybris, SAP Ariba, SAP Cloud for Customer, SAP Fieldglass, ADP, Marketo, Google Analytics , OData, JDBC, SAP BW Live, SAP S/4 HANA Live, Amazon Redshift, S3, Twitter, Hubspot, Netsuite, SparkSQL, BigQuery. SAP reserves the right to change this list. Where is the data stored in BusinessObjects Cloud? The data access type of the data connectivity (see question above) will determine whether the data is stored in BusinessObjects Cloud. For those data connections defined as a “Data Pull” then the data is stored in BusinessObjects Cloud, which from a technical perspective is using the HANA database within the HCP platform. Data refreshes can be performed manually and for some data connectivity types there is a scheduling option. In the case where the connectivity is using “Remote Access” the data is not stored in BusinessObjects Cloud. In some cases, the communication is actually between the browser and the source system and doesn’t pass through the BusinessObjects Cloud server. Remote access connections give real-time reporting capabilities. How does BusinessObjects cloud connect to the data sources? 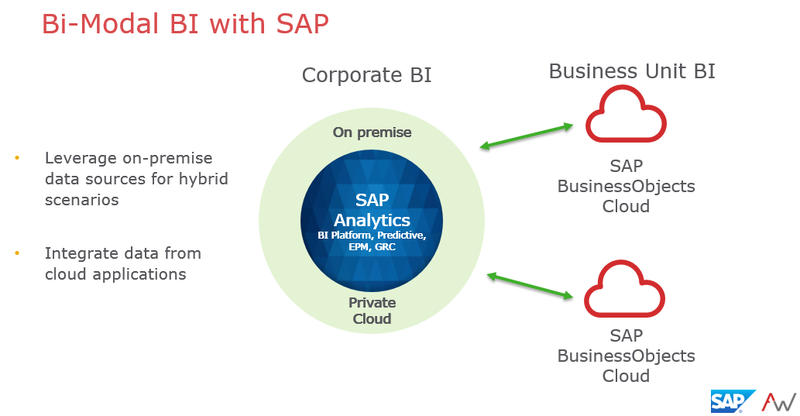 The data connectivity type influences how BusinessObjects Cloud connects to it. The diagram below summarise this. 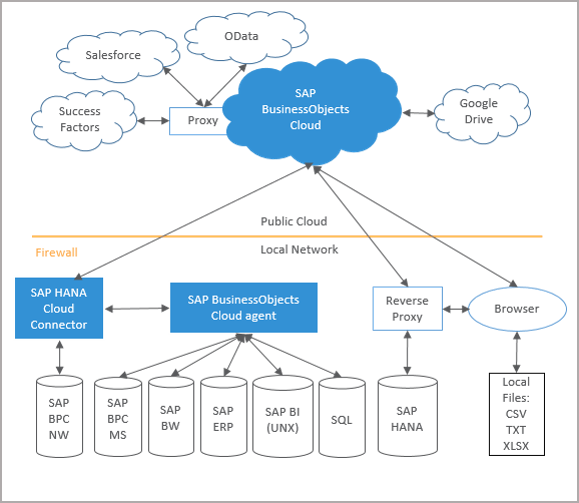 Certain on-premise connections, such as SAP BW or BI Universe, requires you to install and configure SAP HANA Cloud Connector and SAP BusinessObjects Cloud agent to reach out the SA BusinessObjects Cloud platform. Where does Roambi fit in with BusinessObjects Cloud? Roambi is a key component of BusinessObjects Cloud, delivering amazing visualizations instantly on any mobile device so business users can intuitively understand and explore data and share information across the enterprise. At the time of writing, Roambi is available in the United States and will be available globally in the future. The SAP BusinessObjects Cloud and SAP Digital Boardroom solutions have a dedicated roadmap from SAP which is available here. 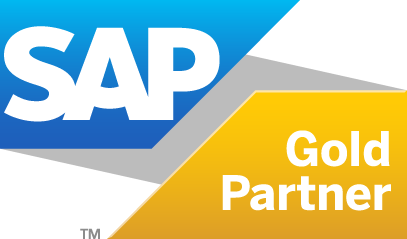 An SAP S account is required for access. It contains the roadmap of capabilities including functionality and data connectivity. Want to learn more, see the solution in action or understand how it fits in with your BI & Analytics strategy? If so, then please get in touch. 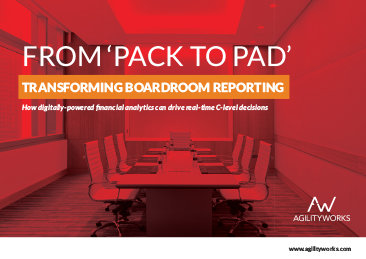 Explore how real-time reporting and analytics can transform C-level decision-making. 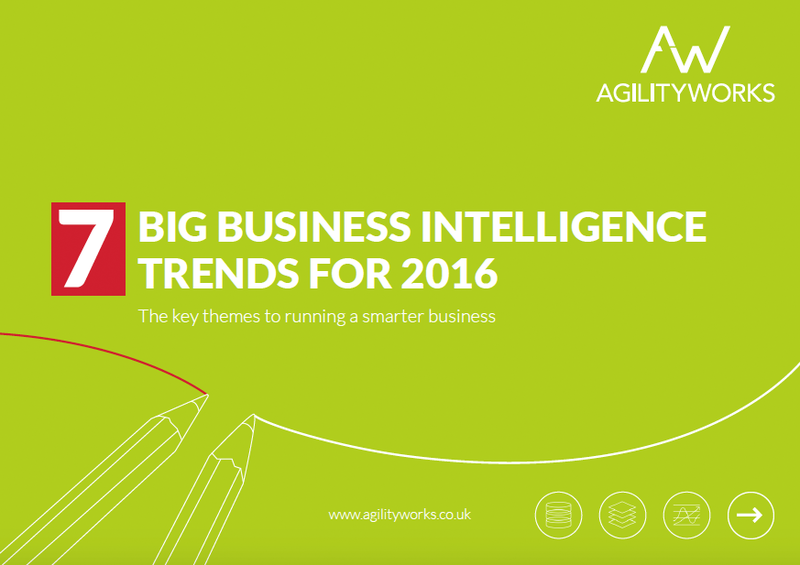 Get a more in-depth look at the 7 big trends hitting the BI space in 2016. 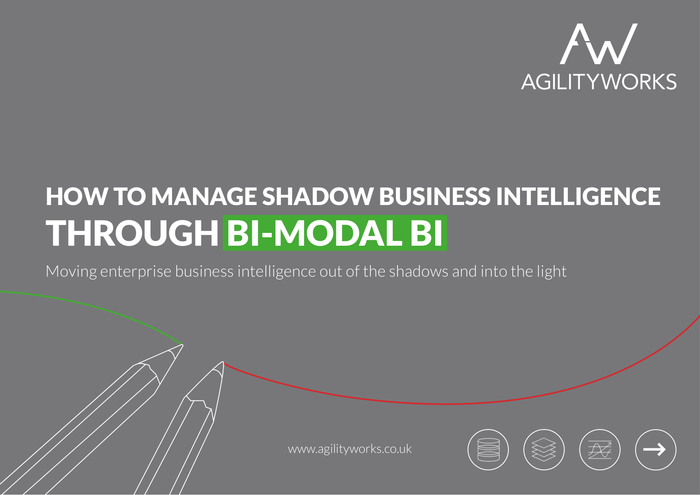 How you can move enterprise business intelligence out of the shadows and into the light.